Hello everyone, I’ve been eyeing this for a while but only now decided to join. Mostly because I saw this thread about translating Umineko to Brazillian Portuguese and I plan on hijacking it and turn it into proper Portuguese instead (you damn Brazillians!). Introductions aren’t really my thing, but I’ve read both Higurashi and Umineko, and hey, they’re pretty good, so I look forward to discussing them with you. Hey @Bancho! I see you’re rocking a much less potentially objectionable profile picture than what I’m used to seeing you with. Hope you enjoy your time here at Rokkenjima! As I said to Cherry, really the best way to hop into our discussion is to hop into our current tea party, Someutsushi! This is a newly translated arc for everyone, so please, join in! Posting your thoughts may win you a fun prize, such as a free Higurashi Steam key or a copy of the Miracles Fanzine! The other prize is given to best creator, so if you are an artist of any kind, please give us some cool fanart! All of the art and discussion will be featured in our podcasts (which you can help host) at the end of the tea party! I recommend listening to previous podcasts to get a feel for the kinds of discussion we have here! 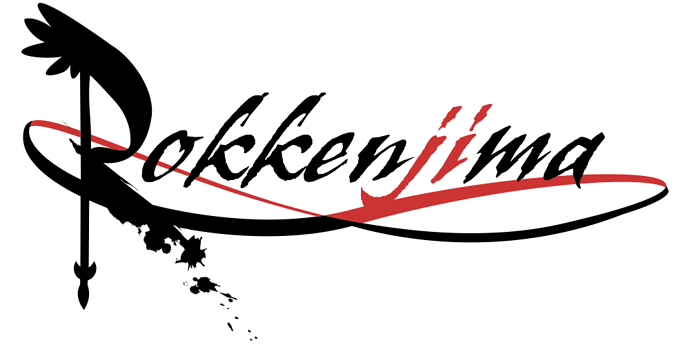 Being called “Rokkenjima”, we also have plenty of Umineko to go around! Just pick your favorite episode and post in either the spoiler or spoiler free section for that episode. You can also talk about your favorite characters, like Battler, Beato, the adults, even witches as a whole! You can also talk about your favorite moments, as well as the moments that may have led to you crying. There’s plenty of other stuff to check out too! For example, Rokkenjima sang “You” from Higurashi together, there’s a thread for sleeping, cooking, showing off your collections, pets, dream WTC crossovers, music, even caffeinated beverages! Damn, @U4ea has basically become the unofficial tour guide for Rokkenjima, huh. Thank you!! While I will not be able to read Higurashi’s VN for some time (since I’m completely broke due to the Steam summer sale and university is consuming my soul), I will keep track of the posts. Oh, about the translation project, I am going to ask them if they need my help, but unfortunately I won’t be able to do much…ugh, University can be so time -consuming. I can’t wait to join you guys at Discord! By the way, if anyone here plays the Umineko fighting game, Ougon Musou Kyoku (and wants to get destroyed), do let me know, because finding people to play it with is pretty hard. Just to clarify, the translation project itself lost a lot of people and it’s not going pretty slowly (basically there’s now only me and the other guy that replied to that, who’s doing the editing), but it’s still a very much alive effort. I’ll translate that damn thing by myself if I have to (it helps the programmer, who I’m not sure is even still willing to work on it, has made us a pretty nifty translation tool). @CherryRocker Would you be interested in joining us? As I said, we have now a pretty good translation tool that’s pretty easy to use and another translator would certainly help me. I certainly do~ but I suppose we should wait for the Steam release for the superior netplay. Wait, are you saying that Ougon is coming to steam? Man I haven’t seen that game in AGES. Oh, sure, we should wait. If you’re scared, that is. @CherryRocker Yes, Ougon is coming to Steam. Quick question, are you the same Funchal from the legendary Infinity Series Discussion thread that’s been going on over many iterations for years now on gamefaqs? Well, that could work too! I’ll contact you once I finish translating episode 1. That’s me, yeah! You there as well?